Travelling there 30 March for 8 days. Anybody have a 3 day itinerary for Bali? Will spend a further 3 days on some Islands friends have booked, followed by 2 more days back to Bali. Also need to know where to stay for the first night - either Kuta or Seminyak (4* hotels are dirt cheap via Agoda so either location doesn't matter). I've got a suitcase a mate left at my house, can you take it to bali for me? Waterbom is a good water park. 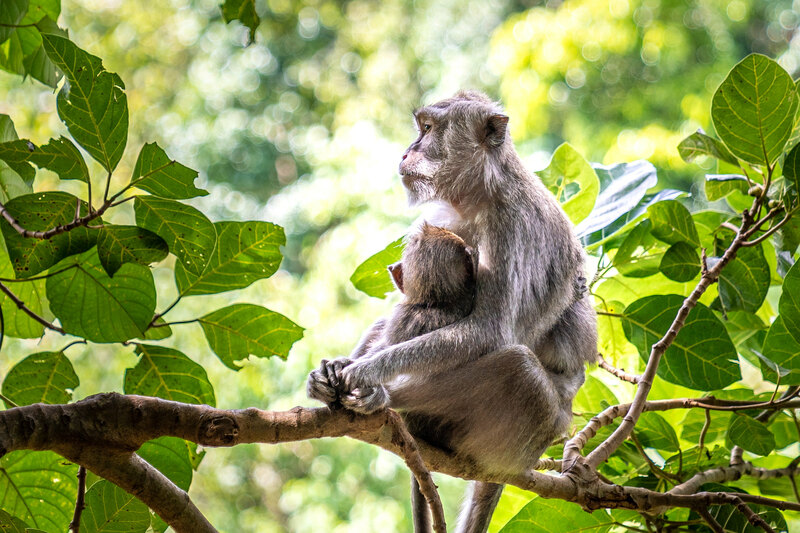 Ubud is also worth a visit, including Monkey Forest. Ultimately Bali should be relaxing and the beach so I'd only spend 1-2 days doing activities. Kuta Puri or Poppies for accommodation. They're inherently Balinese, anything else is the sort of carbon copy accommodation you can stay in anywhere subtropical. +1 for Ubud and the monkey forest. There's a water fountain at the front with a woman lactacting water from her breasts. A+, would visit again. I really enjoyed Amed on the coast, too. Relatively quiet little town, but the beach is nice (if you don't mind black sand) and the diving and snorkeling is fantastic. Here's a couple of monkeys chilling out at the Monkey Forest. If you're into snorkelling or diving there's a pretty big ship wrecked in reasonably shallow water (the USAT Liberty IIRC) at Tulamben, which is up the east coast a bit. I stayed at Sanur when I was there, mainly to get away from all the 19 year old backpackers and schoolkids. It's a small town on the east coast with a bunch of really neat Cafes and stuff. Still pretty close to the airport, but a bit more of a relaxed vibe to it. Strangely there were a lot of older people from various European countries living there. +1 for Ubud and Monkey Forest, they're both really neat. I guess people ignored my Bali thread lmao. Returned from Bali last week. Flew Emirates 9.5 hours flight time there and 7.5 return (don't understand the difference but can't complain with the return leg time). Bali is so cheap. Stayed at a 4* Hotel for $40 NZD (you could get for $30 on agoda). And ended up renting villas with a private pool for around NZ$120-180 a night (divide that by 4-6 and its very cheap). Spent 2 days hiring a private driver for NZ$50 a day. It's cheaper that going on a tour. The other day did an excursion on Nusa Penida for $100 on airbnb - it was a 10 hour excursion and they picked us up from our villa and dropped us off - given that the boat there costed nearly 1/2 the price, definitely worth it. Had the private driver take us to Tanah Lot, some temples, and the gate on one of the days. The other day did Ubud, money forest (which was amazing), and the rice fields (went on the swing which costed $20, but did it for the photo), and checked out the Tegenungan Waterfall. Also, scooters cost $5.00 per day. Also you need to get an international drivers licence otherwise you'd get pulled over and having to pay $20 per person (or however much money the corrupted officers can get from you). Here's a photo from Ubud - Had to pay $20 to get on this swing, just for a photo.